BRASH: Attitudes towards Donald Trump were polarised during the presidential election campaign. In office, President Trump faces major challenges. Picture: (c) AsPerceived. CLUES to the behaviour and attitudes of incoming President of the United States Donald Trump can be found in his schooling. The claim comes from someone who went to a school similar to the New York Military Academy attended by the new president as he reached adolescence. Writing in As Perceived Quarterly, a new digest of longer journalism, commentator Chris Aspinall suggest that the brutal social structure of such institutions in the 1960s and 70s. 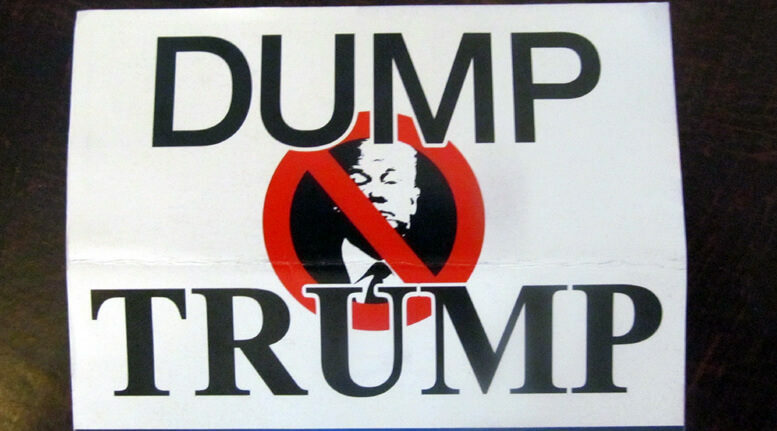 Mr Aspinall calls on his own personal experience of a charitable UK boarding school at that time to suggest that others’ survival strategies may account for Mr Trump’s demeanour towards trust and the close family members who surround him. “A few US newspapers did report on the young Donald Trump’s experiences at school but none seemed to have fully appreciated the greater psychological impact of military intensity during the ‘formative’ years,” said Chris Aspinall. “After 45 years or so, I remember that the intensity decreased as we went through puberty, but before that, the only way some of my contemporaries could deal with being away from parental approbation was by trying to out do one another to become the alpha male or retreating, as I tried to do, to near invisibility. “Once I knew what sort of school Mr Trump had been to and when, everything fell into place in a way that had never been apparent in anything I had previously read about him, whether that was a psychological analysis or a business profile. 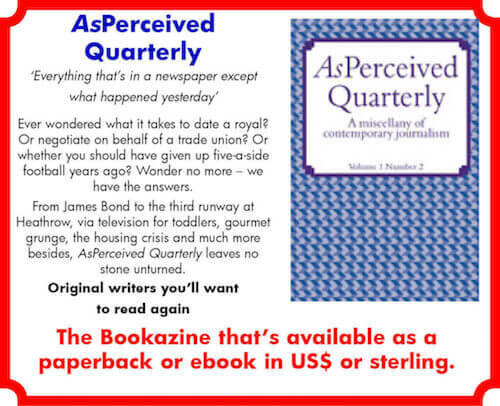 Read Chris Aspinall’s assessment – Towering Inferno – in full in edition one of AsPerceived Quarterly; A Miscellany of Contemporary Journalism.